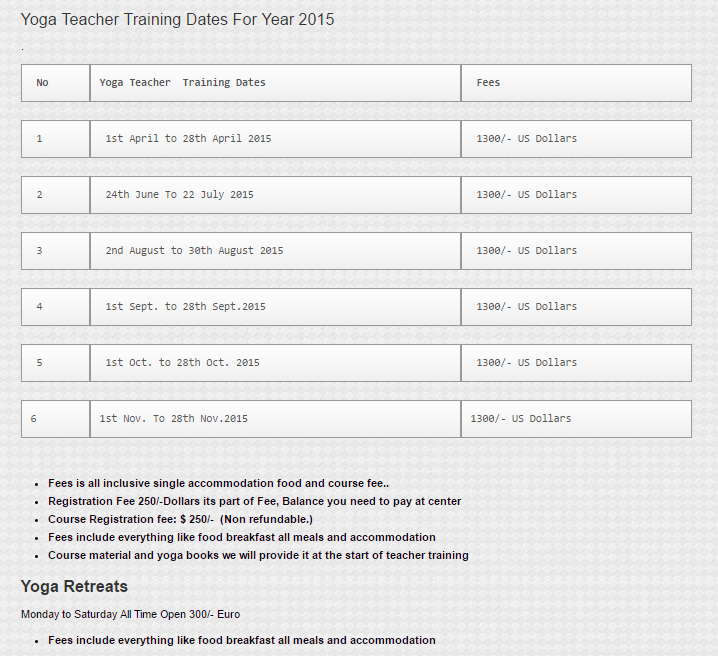 Use the form below to contact tour yogadhyan directly. Take your practice along with your teaching to the subsequent level of experience. Whether you are hoping to develop your own practice, or boost your abilities as a yoga trainer or teacher, this Yoga Teacher Training course will give you to take your practice and that of your clients to higher levels. 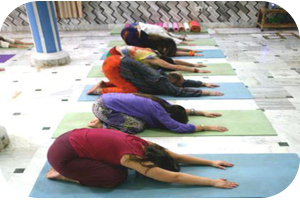 Our yoga teachers training program is designed purely based on philosophy of Patanjali’s yoga darshan. It emphases oo each of the eight divisions of Ashtanga yoga. Yoga doesn’t mean a skill of setting up a yoga posture or asana. Yoga is a combination of Yamas, Niyamas, Pranayama, mindfulness, contemplation and meditation techniques. Our extensively designed course converging all the eight limbs of yoga. In compliance with the view that the yoga and spirituality are close to each other, we follow the teachings of Bhagwat geeta to guide yoga learners with spiritual base too. We arrange intensive Yoga Teacher Training Courses in India (Rishikesh) apart from our Yogadhyan Yoga Teacher Training Courses as well. This course id recognised by the International Yoga Federation at international level. This course is exceptionally intended for beginners along with advanced practitioners covering every feature of Yoga including alignments, benefits, rectifications, constraints, changes and inconsistencies of all the yoga asanas in detail. Registration fees for to book your seat in advance of $ 250/- Dollars following are the option to pay your fees. If you want to pay through paypal or credit card contact us we sent you our paypal email and link to register fees. With the rising up of the Golden Sun, in the small village – Dharkot (a village in the Himalayas on the way to Gangotri), Yogiji was born in 1983 in a Rajput family with spiritual vibrations. Yogiji attained his education in Rishikesh. He was a scholar, quite and deep thinker during his student life. At the age of ten he received his first initiation into the path of yoga and meditation from a yoga master. He was very curious by nature, which led him to ask Swamiji the answers to some of his profound questions. Majority of the time his query was thoughtful and reflective. He began studying the Bhagavad Gita and the Upanishads and learnt from Swamiji the way to connect with the supreme. HE ESTABLISHED IDEALISM AS A YOGA STUDENT. He has met and learnt from many masters and Gurus. At the age of twelve he met his Spiritual Master, Hardav Singh Maharaja, who initiated him into the Nirakara Tradition (A tradition of believers of formless and all pervading God ). Yogiji performed seva with his Guruji for several years both in the Rishikesh Ashram and on tours throughout India, assisting with many aspects of program management for crowds up to 20 Lakh. At sixteen, he returned to the Himalayan mountains for two years, where he had beautiful awakenings whilst on pilgrimage which inspired him to keep his motivation to stay on the yogic path high. He also met Narayan Datt, from the Udarsingh Panchayati Bara Akhara disciple of a powerful Mouni Baba and Tantric Master who taught Yogiji about mantras and the use of mountainous Herbs. 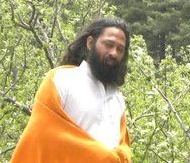 In 2010 Swami ShankaranandaGiri initiated him into Kriya Yoga. Yogiji has also been inspired for many years by the teachings of Swami Sivananda and Paramahamsa Satyananda. His basic qualification is M. Com., an advanced diploma in Software Engineering along with a Diploma in Yogic Science and Naturopathy. 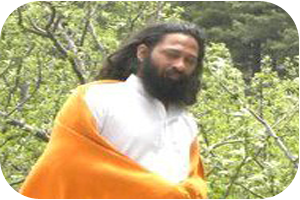 He has been the Administration Manager of the reputed SantSewa Ashram in LaxmanJhoola, Rishikesh for 6 years and is currently completing a one year Doctorate in Naturopathy from Gorakhpur, Arogyadham. A qualified yoga and meditation teacher and Reiki master, Yogiji teaches many modalities of yoga – which includes Hatha, Ashtanga and Kriya with a knowledge of both the practices and accompanying philosophy. Yogiji is dedicated and both skilled and wise beyond his years. His knowledge is enriched with innocent humor – which inspires all his students lifelong. Ajay Bijalwan born in the small town of Pauri Garhwal, which is situated in the lap of the Himalayas. Then he came to Rishikesh (the city of spirituality and the land of sages, which made it so special after practicing their spiritual practice. (“SADHANA”) only at the age of 12 and learnt the traditional yoga in the Gurukul with the great master. Basically he was initiated by his Guru. He studied at the SANSKRIT SCHOOL – where he learnt the ancient MANTRAS, MUDRAS, and the basics of yoga philosophy. Basically Ajayji was very keen to study YOGA and regarding other skills – which can be helpful to sharpen his skill and having command on it. He has achieved mastery over it. He is very punctual since beginning. He has been committed to the field through out the life. 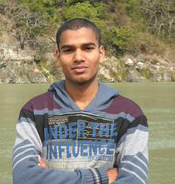 He is not only a perfect yogabhyasi, but an excellent yoga teacher (instructor) too. He believes that without conceptual clearance, the monument of yoga cannot be built. And so, he clears all the doubts of the students and other yoga lovers very nicely. His explanation power is so nice, anyone having any academic background can understand and digest the things with a great zeal. He gives comprehensive coaching of yoga.